This lovely Christmas Stocking is made with plush red and white fur and is lined on the inside and has a red hanging loop too. This lovely Christmas Stocking is made with plush red and white fur and is lined on the inside and has a red hanging loop too. 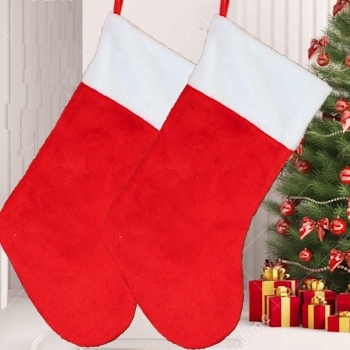 This is a festive 48cm diagonal length Christmas stocking decoration.